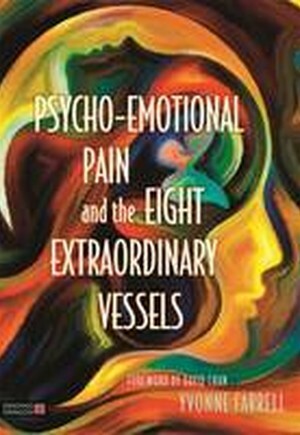 This book is unique in that it discusses the nature of human suffering and how patients can be helped to overcome psycho-emotional pain through work with the Eight Extraordinary Vessels. Emotional suffering and resistance to change can be an impediment to the healing process, with many physical conditions being resistant to treatment due to their psycho-emotional element. Understanding this suffering and providing a therapeutic environment which allows the patient to believe that things can be different improves the effectiveness of an Eight Extras treatment. Approaching the topic from the perspective of suffering means that the theory can be applied to both physical and emotional illness, including addiction, chronic pain, auto-immune conditions and hormonal disorders. This a very practical book and will include a full explanation of how to create an Eight Extras treatment and also case studies showing clinical use of the vessels and how to apply them. These case studies show how coping mechanisms and resistance develops and how important history is in the diagnostic process. Foreword by David Chan. Preface. Part One: The Eight Extraordinary Vessels and the Unfolding of Jing. 1. Illness as a form of communication. 2. An overview of the 8 EV. 3. The Chong Mai. 4. The Ren Mai. 5. The Du Mai. 6. The Wei Vessels. 7. The Qiao Vessels. 8. The Dai Mai. Part Two: The Clinical Application of the Eight Extraordinary Vessels. 9. Intent Versus Agenda. 10. Creating a Treatment Using the 8EV. 11. Case Studies. 12. Conclusion. Bibliography.